co si myslíte o této kapele, která se výrazně zapsala do hudebního světa minulého století a bude tomu nejinak i nadále. Ne, že bych na nich nějak zvlášť ulítával, ale pár jejich písniček se mi hodně líbí. Nejvíc asi Spread Your Wings, The Show Must Go On a samozřejmě We Are The Champions (u tohodle nejde nevzpomínat na Nagano ). Co si myslím o Queen? Nic zvláštního. Asi takhle: respektuju je (Bohemian Rhapsody je fakt vymakaná), ale moc se mi nelíbí. Doma bych si to už teď nepustila, kdysi občas jo. existují nějaká intervujů, kde by se hoši z PSB jakkoliv vyjádřili k hudbě Queen nebo F.M. ? PSB connections: Queen concluded the original vinyl edition of their 1989 album The Miracle with a song titled "Was It All Worth It." 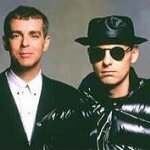 Two years later, the Pet Shop Boys would end Discography with "Was It Worth It?" Undoubtedly a coincidence, but an interesting one. There are a number of other interesting connections as well, perhaps most significantly that both released collaborations with another musician in this list, David Bowie: Queen with "Under Pressure" and PSB of course with "Hallo Spaceboy." And, like a number of other artists listed here (the Beatles, David Bowie, Kate Bush, Genesis, and Pink Floyd), Queen shares with the Pet Shop Boys the honor of receiving the Ivor Novello Award for Outstanding Contribution to British Music. Interestingly, while Neil has said on more than one occasion that he has never been a fan, Chris chose Queen's "The Show Must Go On" as one of his selections on their 2005 Back to Mine various artists compilation.